Once retired, he moved to the Chesapeake Bay, a beautiful area with a large boating community. It was on the Chesapeake in 1978 where his boating career began - delivering boats up and down the coast. 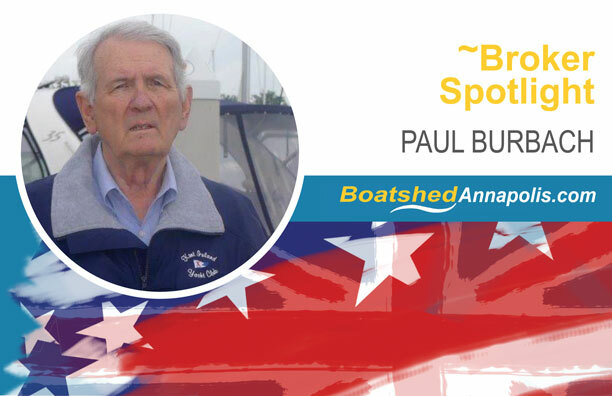 While some boaters only know sail or power, Paul has owned and cruised both. His first boat was a 21’ sailboat. He’d owned sailboats (increasingly bigger) for years. Then an interest in fishing and getting "further out" on the weekends moved him to owning powerboats. So if you're seeking to find your own favorite boating experience give Paul a call. He'll be more than happy to help you find the perfect boat for you, whether it be power or sail!